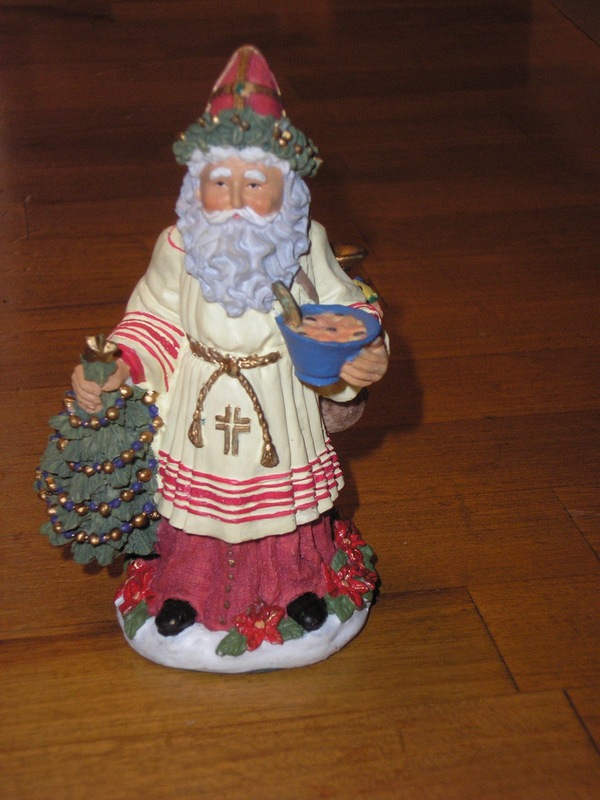 and a Ukrainian St. Nicholas statue from the International Santa Claus collection. 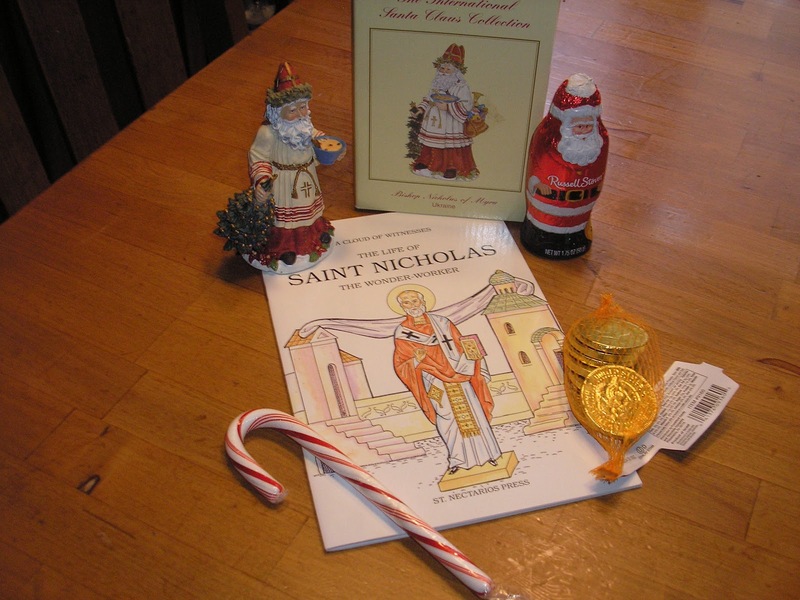 I planned to turn the chocolate Santa's into bishops using these directions from the St. Nicholas Center website, but ran out of time. Maybe the kids and I will do it as a craft together next year. Every year I try to give them a small "Bishop of Myra" gift. I've given them a holy medal, a prayer card, a small icon for their bedroom, a hand puppet and ornaments for the Christmas tree. Finding items that relate to the Christian saint (not the secular Santa-Claus type figure) can be challenging, but I've found several items in the St. Nicholas Center shop. Orthodox Christian online gift stores sometimes have some things too, since the Bishop of Myra is especially revered in the Orthodox church. I think they are discontinued, but I've found them inexpensively on eBay. Sometimes Amazon has them, too. 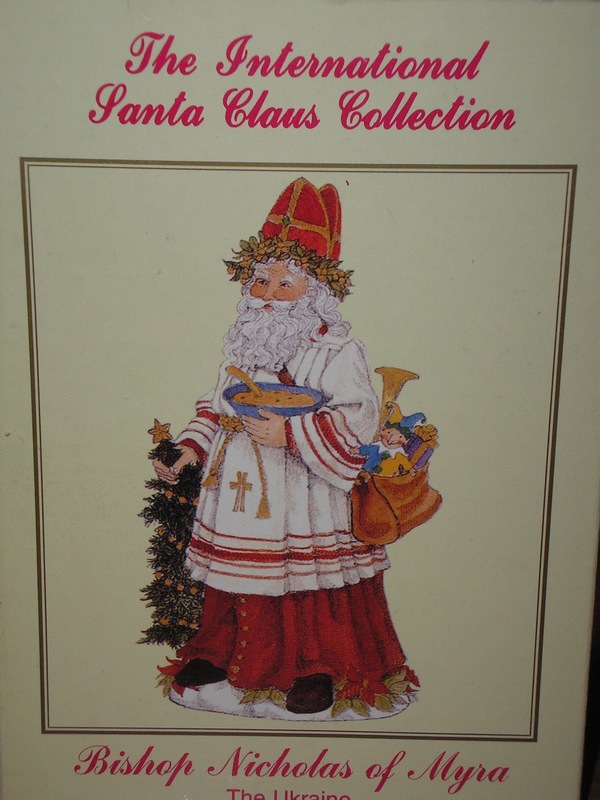 The second book, purchased for my daughter, is titled Kersti and Saint Nicholas. 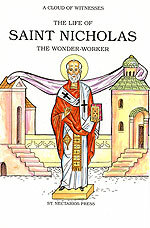 If I can't find an appropriate faith based book on the saint, I try to at least find one that will emphasize simpler traditions and customs based around St. Nicholas, or books that show how St. Nicholas Day is celebrated in other countries. 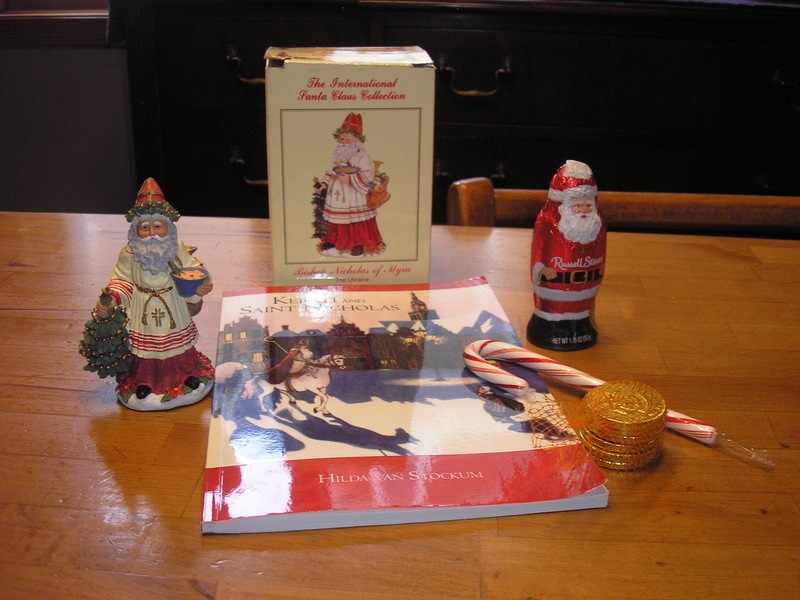 Kersti and St. Nicholas is a reprint of a 1940 book written by Dutch author and illustrator Hilda Van Stockum, who wrote the Newbery award winning book A Day on Skates. It's a book about a mischievous six year old who worries that she won't be visited by St. Nicholas so she sets off on an adventure. It has simple yet beautiful illustrations. It also portrays a nice depiction of a large family's life in Holland long ago. I purchased my copy on Amazon. I follow quite a few blogs and have loved reading about how all of you celebrated St. Nicholas Day!